As traditional as you can possibly get. Mammy & Daddy in the rustic, basic, open “cucina” serving up delicious dishes using local ingredients. Highly recommend the beef and green beans' dish, “Gjella” as a shared starter. (It's so good I'm going back for lunch & dinner) Following a stunning porky souvlaki, I was treated to the most incredibly tasty, yet simple dessert of yogurt topped with pieces of bitter burnt orange. Oh my, oh my, oh my! You too can become a brother of BROTHERS by dining out here. You'll certainly be treated as a member of the family. When asked, Mummy says, she learned to cook through instinct and Daddy learned his trade working in the finest restaurants in Athens. The two are splendid hosts and are a great double act with son serving, full of banter. A must visit if you wish to experience a real home kitchen, yes without frills, but food so so tasty. Wine from the uncle's farm is strong and robust, not for the feint hearted! Five visits to date and have not been disappointed. Fabulous food especially the salads and seafood. Family run establishment, polite, cheerful staff. Always good to see the owner take an interest in his guests. Menu varied and food of a very high quality, always beautifully presented. Good selection of wine and cocktails. 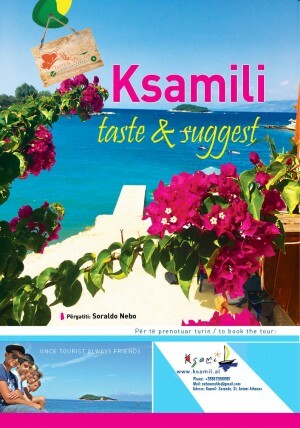 Excellent location overlooking crystal clear water and Ksamil islands. Pleasantly laid back, perfect for lunch or after a long day on their private beach. I am so looking forward to my next visit. Thoroughly, thoroughly recommend. A random pick led us to try Beach Bar Rilinda where we were immediately welcomed with warm smiles and gentle guided gestures. 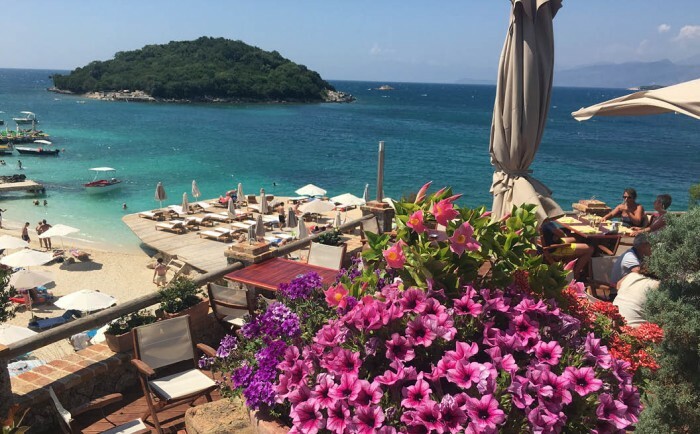 A table in view of the enchanting Ksamil Islands set the scene perfectly. I chose the crab linguine, my friend, the grilled octopus. The battle of tastes began as we tentatively shared the two sumptuous dishes, whilst each having custody over our respective platefuls. The forks danced playfully like drunken flamenco dancers, dueling at times, twisting, screeching, feeding our mouths and souls. No need for conversation or idle chat as this was serious imbibing, food at its delicate finest. Local wine assisting, producing a fair result... a complete draw, a tie of tastes and complimentary experiences. A perfect 1-2 combination. Please go and try and sample what we enjoyed. Blinking marvellous and reasonably priced considering the location, service and quality of food.